Medical writing is an essential aspect of clinical research. Students in both nursing and medical schools must learn that medical writing as an integral element for their future careers. However, regardless of a student’s practical skills, instructors always test their skills in writing just like in other academic disciplines. Some students are more skilled in writing than other, but not every one of these is skilled more so when it comes to communicating important ideas in writing. At CustomNursingPapers.Com, we believe that no student should fail to graduate just because of poor communication skills while possessing impeachable practical skills. As a result, we always custom-compile perfect papers for a student who may be seeking to complement their practical skills with excellent medical papers. CustomNursingPapers.Com has highly experienced writers in the medical field who help students compose top quality papers in the discipline of medicine. Their extensive medical background gives them the tools and the knowledge needed in tackling any medical assignments be it an essay, a term paper, a research paper, a case study, a thesis or a dissertation. 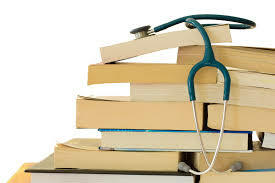 They also have access to thousands of nursing databases with numerous journals, articles, and much more resource work. At CustomNursingPapers.com, we know what your success means to you. We, therefore, ensure that all our papers are of top quality and custom-compiled by the best writers in the medical field. Our writers have all been subjected to statistical, editorial and scientific control reviews before being hired to work for our company. This is what guarantees you a top quality paper and what guarantees us more than 90% customer return rate. Need a Professionally written Nursing/Medical paper? Our professional Nursing writers will custom-compile one for you; Composed 100% from scratch!